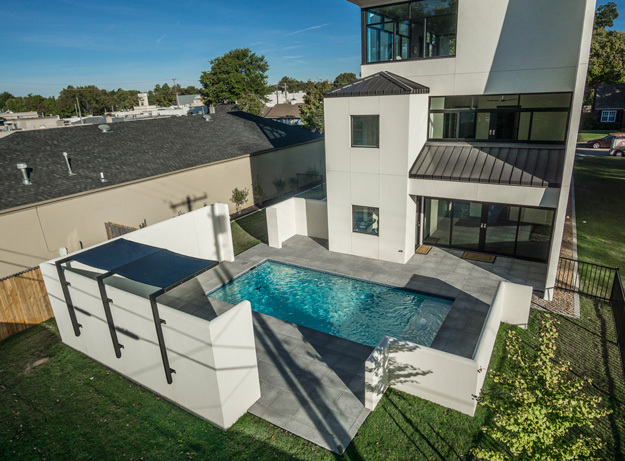 A unique home recently completed in Brookside has enhanced the rich architectural footprint of this Tulsa neighborhood and has quickly earned the distinction of being the city’s newest architectural treasure. 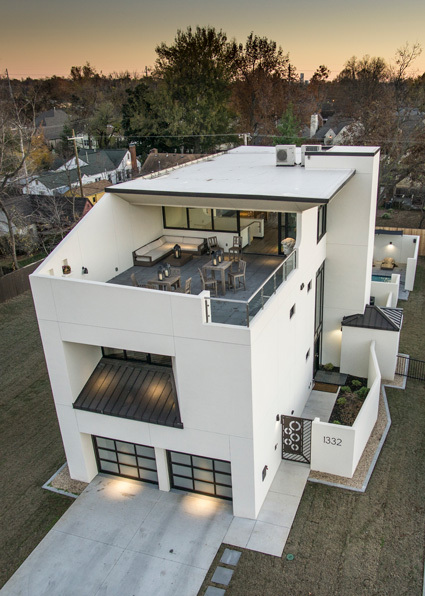 Christened “The Brooksider” and designed and built by noted Tulsa architect George E. Day Jr., the three-story ultra-contemporary home is a bookend to the vibrant 35th and Peoria shopping, dining and residential area. 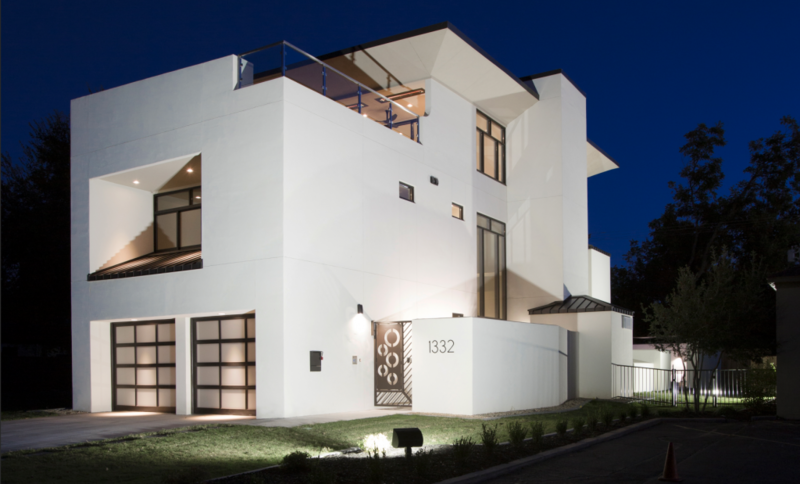 With its crisp, white exterior and classic, modern architecture, The Brooksider is a sparkling jewel, nestled gracefully among the traditional style homes in this neighborhood. The Brooksider blends rustic and contemporary. Photo by Miller Photography. 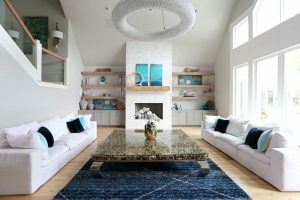 The concept for the house was a vision of the owner, Rusty Patton. He had long-owned an open field abutting The Consortium shopping center on East 35th Street. Each spring, the field was covered with colorful poppies and bachelor buttons, which Rusty had planted. While sitting on the fence, enjoying the wildflowers in 2012, Rusty began to envision a home at that location, with a rooftop deck overlooking Brookside. George and Rusty spent the next two years designing The Brooksider. A gated, walled garden is the formal entry to the home. 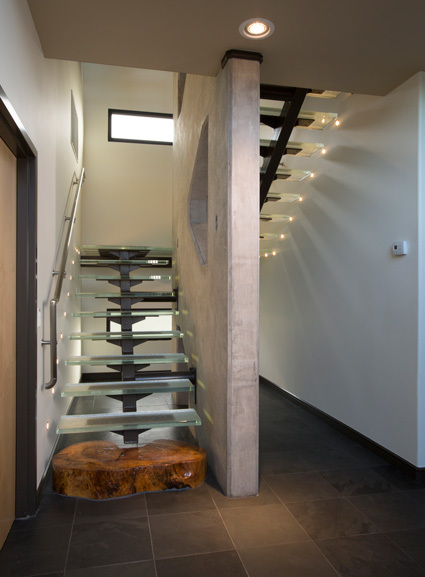 Guests are greeted inside by a welcoming foyer, and a dramatic glass staircase supported by an eight and one-half ton, two-and-a-half-story precast concrete wall accented with geometric cutouts. 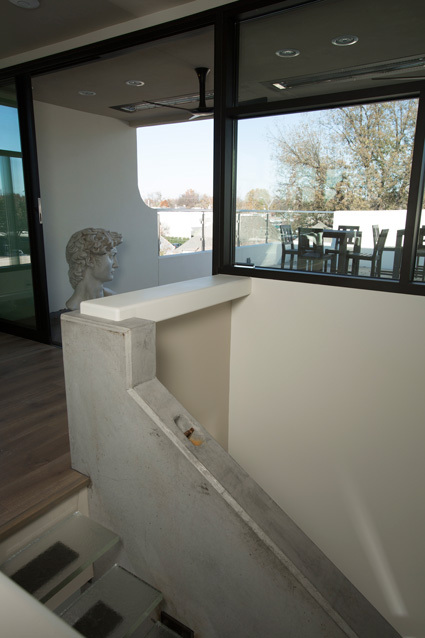 The staircase was conceived as a sculpture that would transition between the floors. 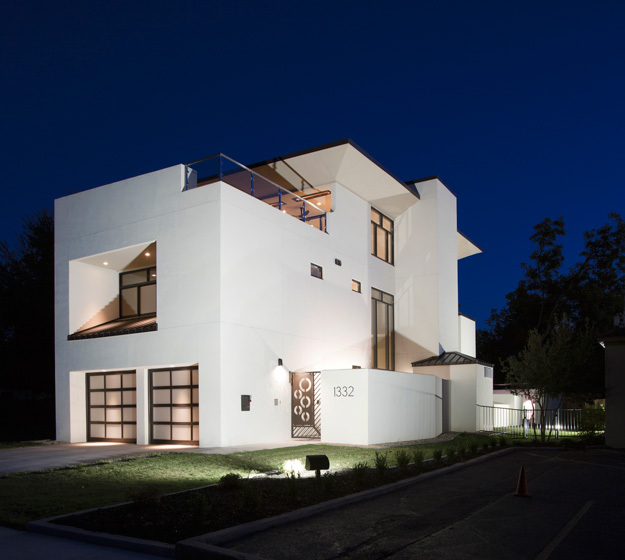 The Brooksider was designed and built by Tulsa architect George E. Day Jr. Photo by Miller Photography. Aerial views highlight the clean lines of the Brooksider house. Photo by Miller Photography. 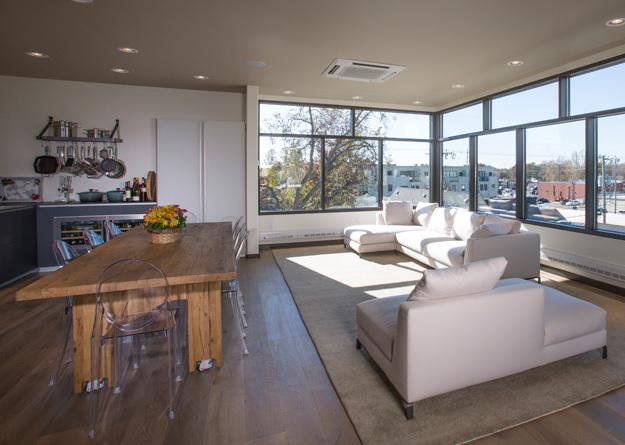 Panoramic windows provide for sweeping views of Brookside. Photo by Miller Photography. The lower level features Rusty’s garage, office, a multi-purpose cabana room overlooking the courtyard pool and a commercial elevator serving all three levels. Brazilian slate floors anchor each level. 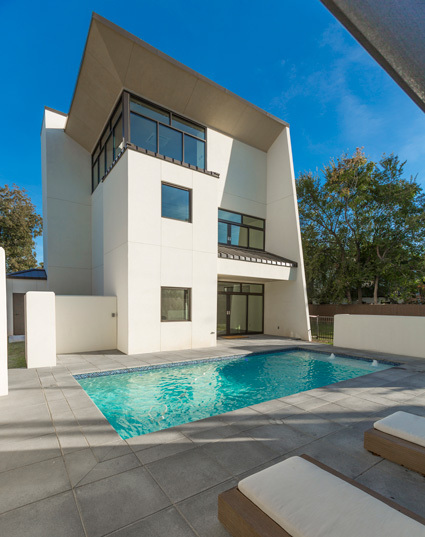 On the second level, the master bath and bedroom overlook the pool. This floor also houses a guest suite, utility room, ample walk-in closets and the guest powder bath. The staircase continues as a dramatic focal point on this floor, leading to the stunning crown jewel of the home, the third level entertaining area. 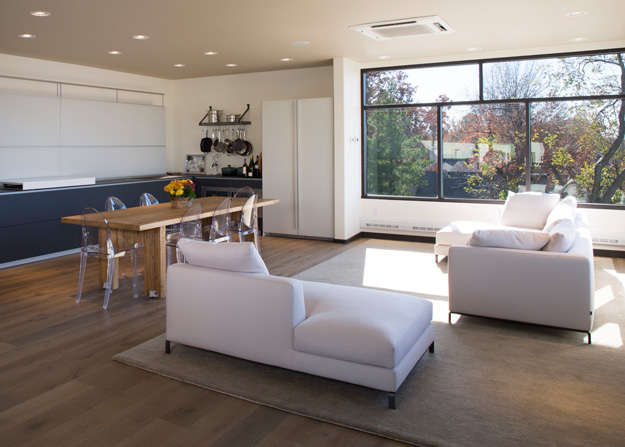 The spacious third floor includes the open living and dining area and kitchen. 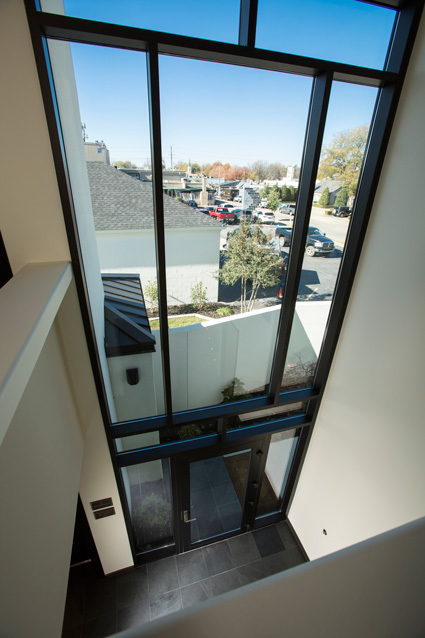 This great room opens onto an outdoor deck that provides a magnificent, panoramic view of Brookside and downtown Tulsa. 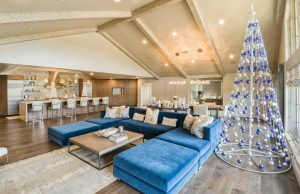 As the home’s entertainment center, this floor has quickly become a popular venue for charity and cultural events. Beyond the enticing first visual impression, there is much more to admire about this unusual home. 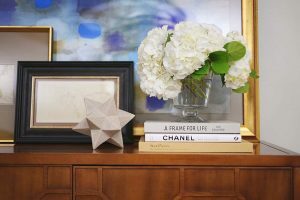 “George thinks in 3-D, and had many of his own rules to follow in designing the home,” Rusty notes. One of those rules concerned windows. His two-over-three or three-over-four design plan for window panes gives consistency and a sense of scale throughout. “Design is an evolving process,” George notes. “The collaboration and trust between Rusty and me is what made this project possible. Rusty had the idea and I helped realize it.” The two men have known each other for almost 40 years. The Brookside neighborhood has truly embraced this elegant gem. It is beautiful at any time of the day. 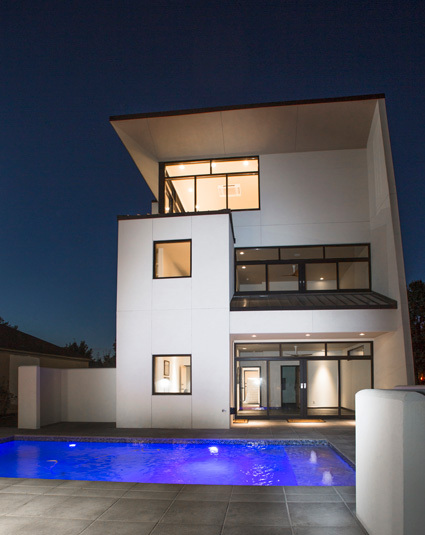 Like a chameleon, the home assumes a different character as the day progresses. It sparkles in the sunlight. As dusk falls, night lighting reveals another view of The Brooksider’s most dramatic, engaging character.